Second photo is of the gang’s pride and joy… a wheel barrow AND a new drain lid…. We meet Minffordd Yard at 8.30am. 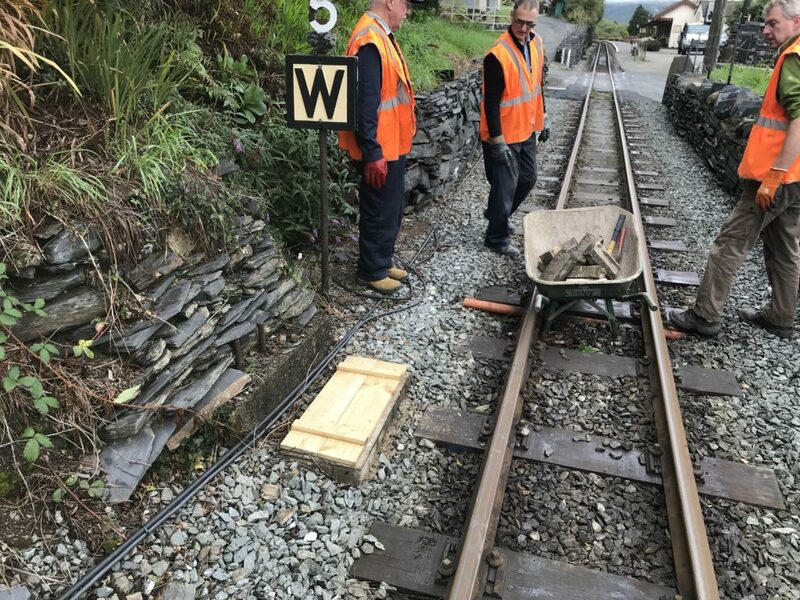 , and are usually back in the yard by 4pm. 17th & 18th November is the next working party See the Events Calendar for future dates. 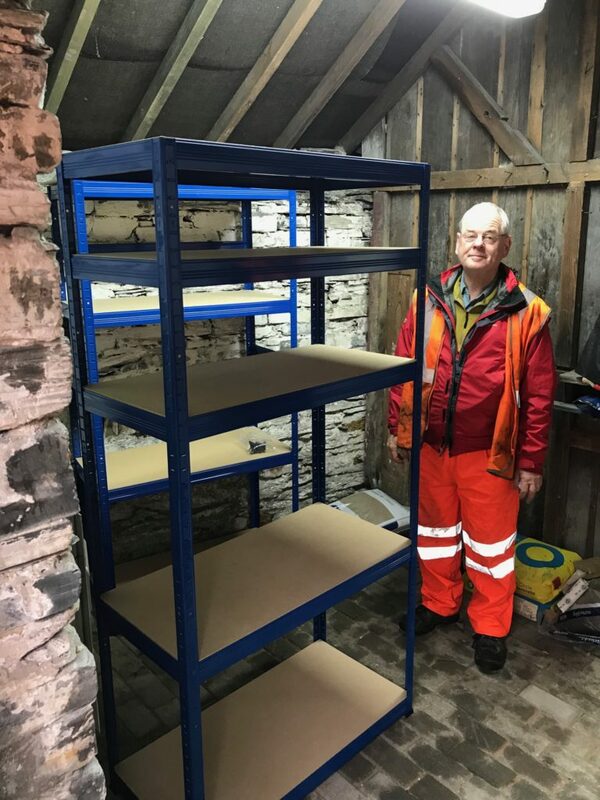 We have, after 40 years, now secured our own building , thanks to Alex,and I attach a third photo of our glamorous TSS (Gareth Davies) showing off some of our new shelving.. 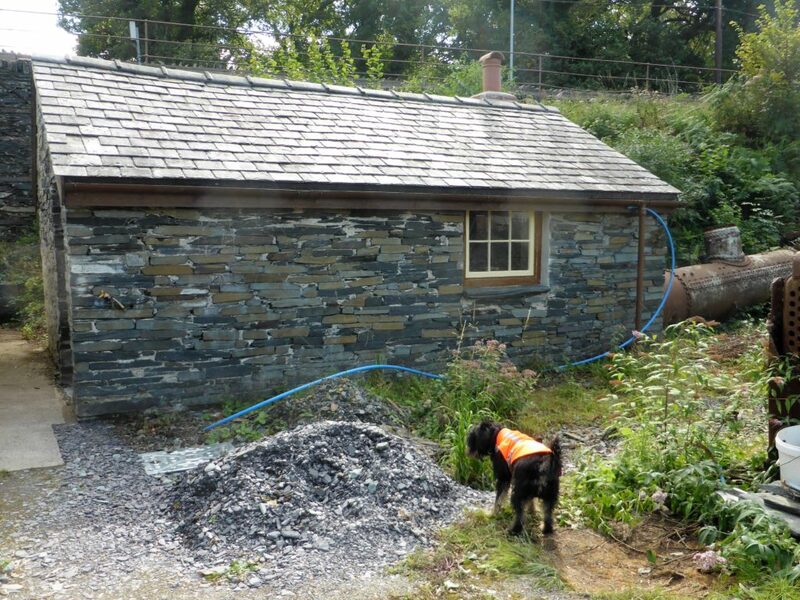 Here is our new home, formerly known as the Bothy tucked away at the bottom of Minffordd Yard. 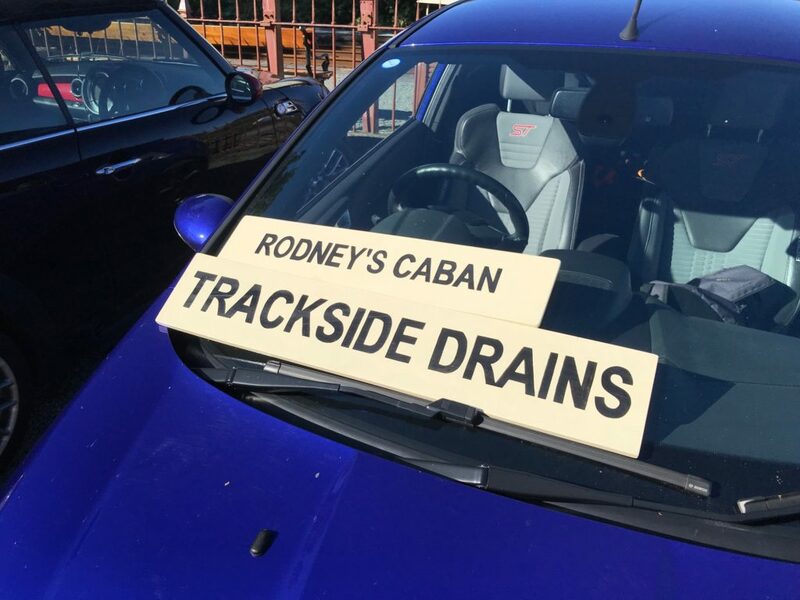 I still prefer Drains World UK…..